Do you have vehicles that carry materials which need refrigeration? Don’t let a problem in your vehicle’s air conditioning affect your business. You can have peace of mind if such a situation arises, because the specialists at Kevin Green Vehicle Air Conditioning Services will come to your facility and rectify the issue quickly and efficiently in and around Wragby and Market Rasen. Contact us today to discuss your problems and see if we can come up with a solution for you. Looking for an affordable air conditioning re-gas service? Never use your air conditioning with an insufficient gas as this could damage vital compoenents of your system. At Kevin Green Vehicle Air Conditioning Services, we use the latest equipment to help you with re-gas and air conditioning services. Our qualified staff will come to your office or home and offer you excellent services if you’re located in Wragby or within a 30 mile radius including Market Rasen. 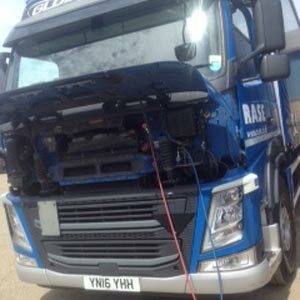 We also undertake plant air conditioning and lorry air conditioning. If your business depends on refrigeration, you can count on us for the right solution for your problems.